4 live classes, Q+A, dozens of worksheets + guides, lifetime access to the material. 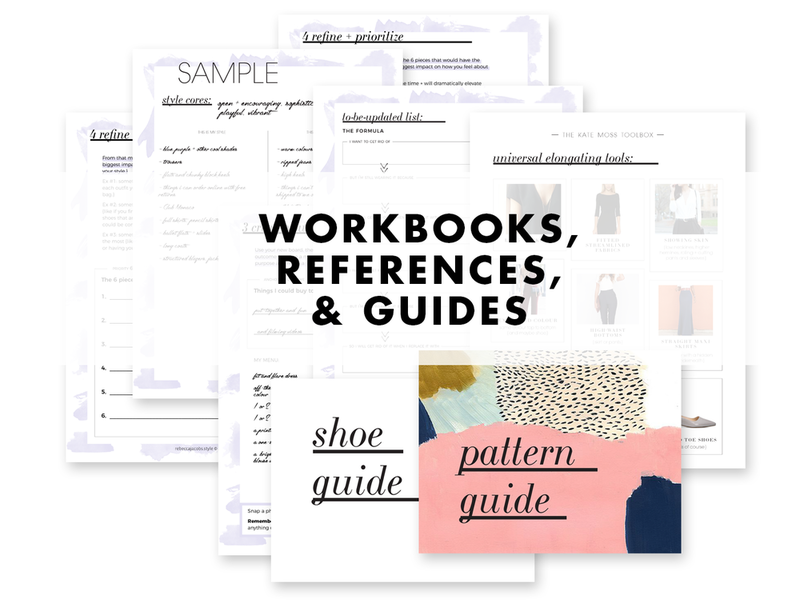 ➤ First we uncover your unique style and lay the foundation for feel-good style from the inside out. ➤ Second, you learn the style of science and get a whole toolbox of tools for dressing your shape, wearing colour and patterns, and looking chic while feeling comfortable. ➤ Third, we uncover the limiting beliefs and sabotaging habits keeping you from showing up as your most powerful self. We cultivate confidence and quit impulse shopping for good. ➤ Fourth, we make your style a reality. You learn where to shop (even on a budget), easily identify good value items at a low price, clean out your closet, and start wearing the pieces you have now in entirely new ways.